BMO Vancouver Marathon race weekend adds to its list of accolades and has been voted “Vancouver’s Best Running Race” for the third-consecutive year by popular local publication, the Georgia Straight. The event’s famed Marathon course has won several other major international awards over the years from the likes of leading publications such as Forbes, CNN and USA Today. 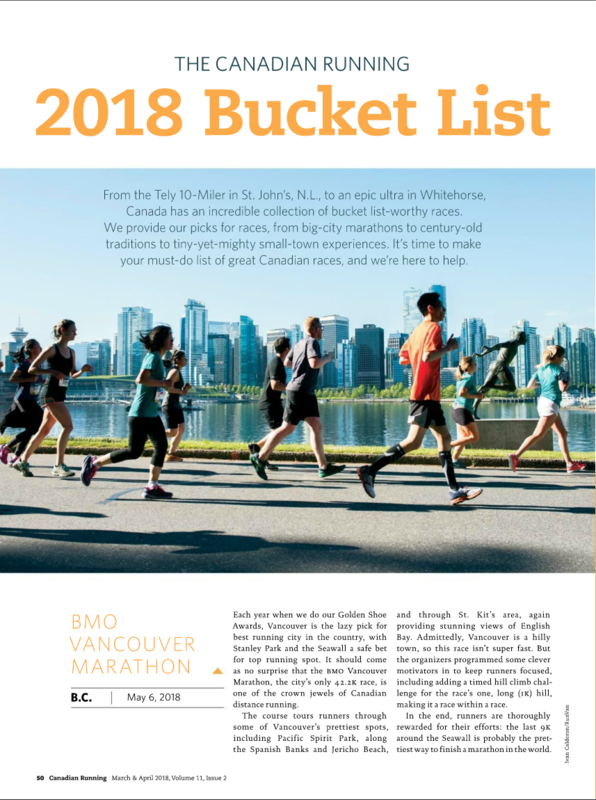 “It’s an honour to be recognized by the local community,” says Eric Chéné, Race Director of the non-profit Vancouver International Marathon Society RUNVAN®, organizers of the BMO Vancouver Marathon. 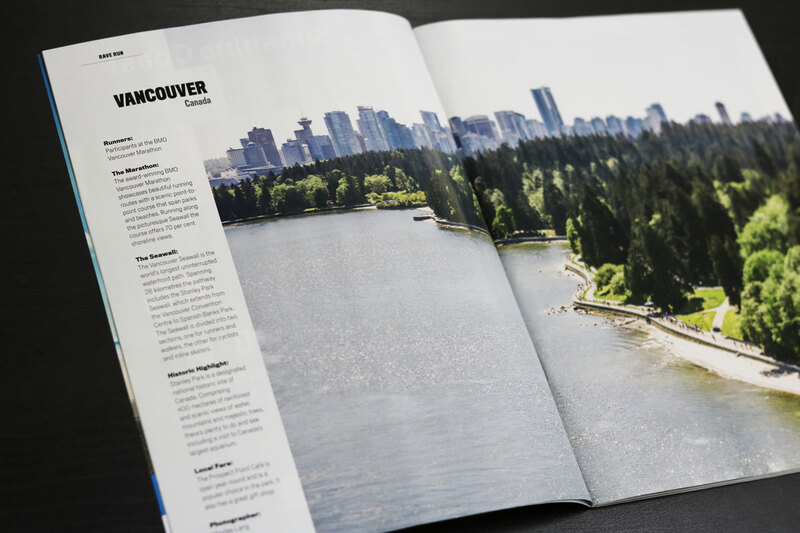 The BMO Vancouver Marathon is a major undertaking, and the only single day running event with three separate point-to-point courses in North America. As non-profit organizers, RUNVAN® relies on community support including the help of nearly 4,000 volunteers annually to pull off the feat each May. There is something for everyone during BMO Vancouver Marathon race weekend. For those looking to run, you can conquer the award-winning Marathon course, a fast Half Marathon, 8KM race, or run the Relay as a team, which breaks the full 42.2KM Marathon course into smaller, manageable sections. Runners aren’t required either. 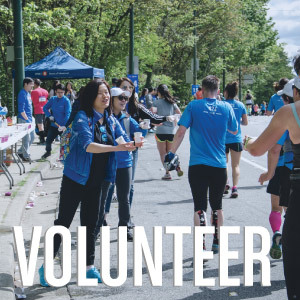 You can be one of the thousands of volunteers, and enjoy great group camaraderie while helping to organize Vancouver’s only Marathon event, or be a spectator and partake in the Community Cheer Challenge presented by Chevron and potentially win cash prizes just for cheering. 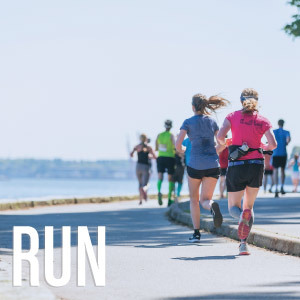 In addition to organizing free weekly runs, supporting local schools, and charity programs to the tune of $14.9 million raised by runners for charity, the non-profit also works with BIAs and community leaders throughout each of the 12 neighbourhoods it runs, to help create block parties on race day. BMO Vancouver Marathon race weekend further features a free three-day Health & Sports Expo. Open from Thursday to Saturday before race day at the downtown Vancouver Convention Centre West, the Expo showcases over 150 exhibitors and is free to the public. Organizers have done lots behind the scenes to grow what used to be a single Marathon race with 32 finishers, to a major community event that now welcomes nearly 16,000 registrants, locally and from across the globe. A record 65 countries were represented this past year. Registration for the 47th annual race, May 6, 2018, officially opens today.